Does anyone not want to explore Tuscany? This region has been etched into my mind as somewhere I have wanted to explore for years although I am not exactly sure why. It could be the call of historic towns, wineries and beautiful scenery. Or perhaps it was the art, my never ending quest to find the perfect, gorgeous village or to eat myself crazy. I don’t know but I was looking forward to seeing more of Tuscany after brief visits to Pisa and Florence a million years ago when I was 21 on a Contiki tour. There are so many places to visit in Tuscany. When we were trying to work out where to go in Tuscany, we were finding it too difficult to narrow it down to just one or two places so we gave up! Instead we hired a car and drove around for nearly a week exploring all the places to see in Tuscany that took our fancy. 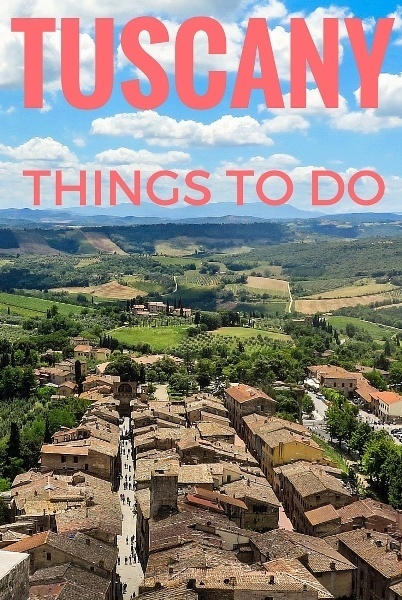 We also made up our own list of the best things to do in Tuscany and had fun ticking them off. We booked a great airbnb apartment in a Tuscan town and used this as a base to explore from which worked very well for us. Below, I want to share with you what to do in Tuscany so you can have a great time as well! Whether you are trying to narrow down your list of Tuscany attractions to one or two like we were or you are also planning on doing a lot of day tripping, hopefully this will help! Below are all the places in Tuscany that we visited. I am sure there are more that may also be worth your time but these are the main destinations. Something we loved about driving around Tuscany was all the far away scenic towns and villages we spotted, often sitting on the tops of hills. If we had had the extra time, I’d have loved to just visit some random places we saw in the distance. Factor in some time for exploration if you can! 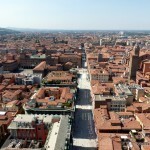 We also recommend a visit to Bologna which is an easy day trip from Tuscany. Read about why you should visit Bologna here. 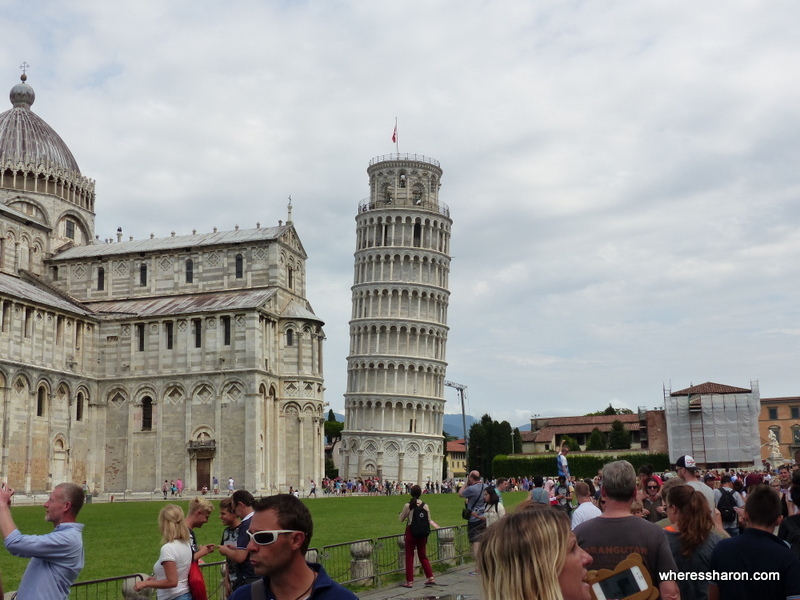 I couldn’t have a list of what to see in Tuscany and ignore its most famous attraction – the Leaning Tower of Pisa. It’s always cool to see famous landmarks in person and this was no exception. Despite all the crowds, it was easy to get up close and there was still plenty of space to pose for silly photos. In fact, it is fun just standing back and watching all the people looking silly posing for their own photos. There are many other attractions around the Leaning Tower. You can buy tickets for individual attractions or the whole lot. If you want to go up the tower, it is best to book online in advance. The church is free but, as we found out the hard way, you still need to get a ticket and are allocated a time. We were allocated a time three hours into the future so we were unable to go inside. 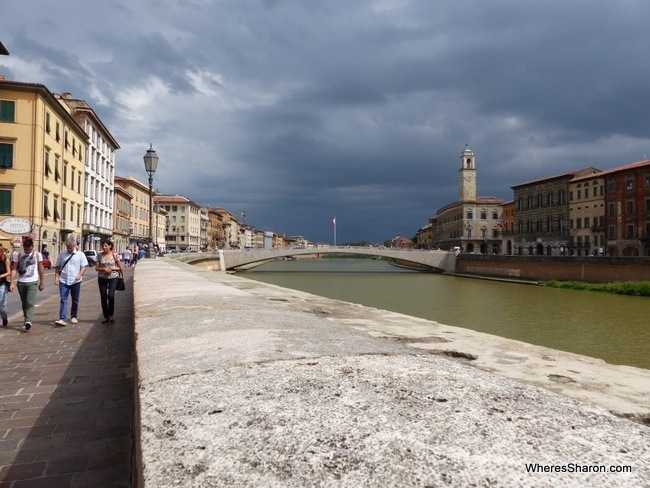 There are more things to do in Pisa than just the area around the Leaning Tower, and it is easy to walk into Pisa and see more. However, our walk in was not very nice. Everything was empty, shut and full of graffitti. On the way out we must have happened to go the way most tourists do and it was such a different impression. Everything was so much nicer. The river area was the nicest part we visited. Lucca was on my list of top things to do in Tuscany because I kept reading how beautiful it is. And it is. However, it is also more low key than how I expected. 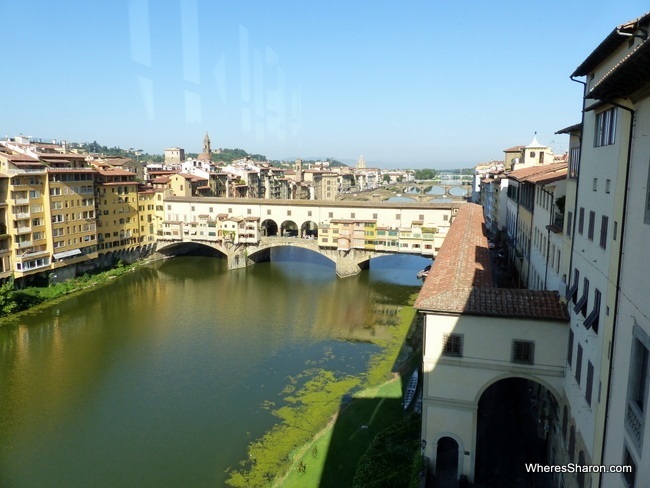 This city has an interesting history and is in a convenient location between Pisa and Florence. It avoided being bombed in WWII which means that it is much how it was. It is a nice place to explore and wander and if I was a shopper, I imagine I would love to go shopping here. However, after the the colourful, vibrant old towns I am used to in the Baltics, I found Lucca to just be a really nice and pleasant place to stroll, rather than anything spectacular. I loved the relative lack of cars (although the tourists on bikes could be worse) and the pretty piazzas which weren’t even that busy even in August. We basically had the amphitheatre one to ourselves which was a surprise. If you are looking for more structured things to do in Lucca then there is a palace, some museums and churches to explore. 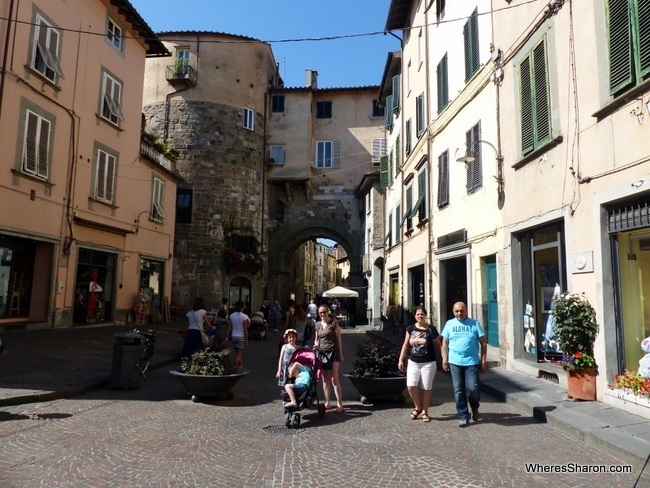 My top thing to do in Lucca, however, is definitely walking on the old city walls built in the 16th and 17th centuries. These massive things are 12 metres high and 4 kilometres long and are surrounded by parkland on the outside and above. It’s a lovely place to stroll, take a bike ride or have a picnic. We went with the stroll and picnic. I read about many playgrounds around the base. We walked around about half the walls and only found one – which was great. The walls in general are a great way to keep little kids happy and the kids definitely enjoyed the walls more than the town. Parking is available just inside the city walls although we were too paranoid about getting a fine for entering the ZLT so we stuck to the outside. There is free street parking that is easy to find near the North East entrance. I was very excited to visit Siena, especially after reading how people tend to have a strong preference between Siena and Florence. Given I hadn’t thought much of Florence (which is something I am scared to admit publicly! 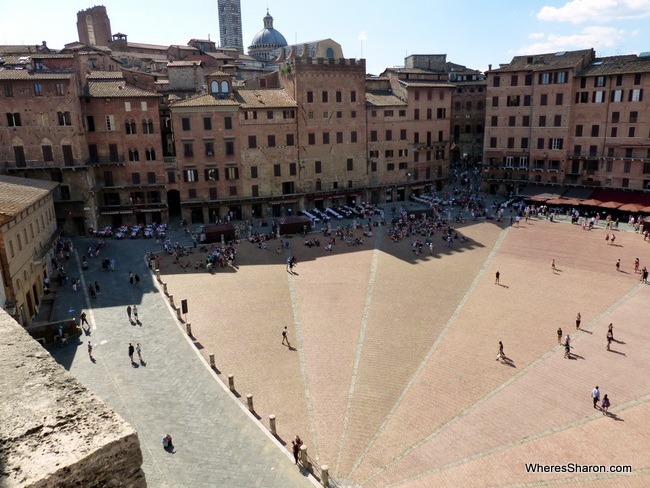 ), I was hopeful that I would LOVE Siena – and I did! Siena is just stunning. Its hilly location, tall buildings and winding streets make for quite a site – both from a distance and while entwined in the town itself. I found it just beautiful and I could have spent days just hanging around. If you are looking for somewhere in Tuscany to spend more time, this is my pick for the best place in Tuscany. There were many people around on our visit. However, it wasn’t hard to leave the crowds behind by just walking in a different direction. There are many beautiful streets in the old town so it is not hard to find your own. 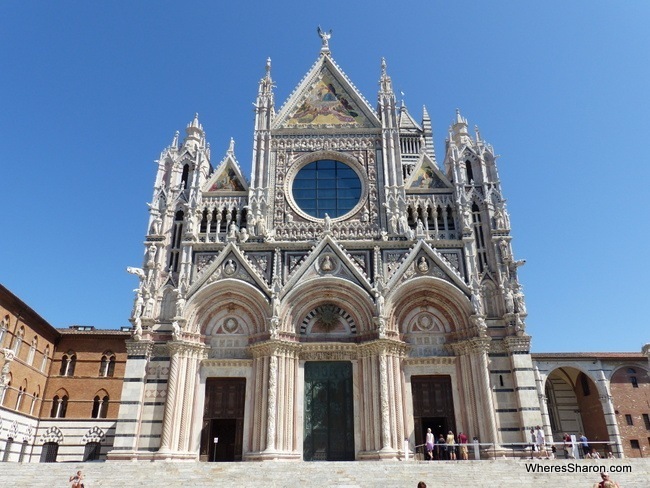 I did have one big disappointment on our visit, one of of our big Tuscany things to do was to explore the Duomo in Siena, especially as this time of year is the only time to see all of the panels. The line to buy tickets was crazy frustrating and in the full sun so we ended up giving up after waiting 15 minutes and not moving an inch. What we did manage to do, however, was climb up the Torre del Mangia – a big tower on the main plaza, Piazza del Campo. It’s 102 metres high and the views are amazing. They only let 30 people up at a time, so you need to go and get tickets for an allocated time early in your visit in Siena. 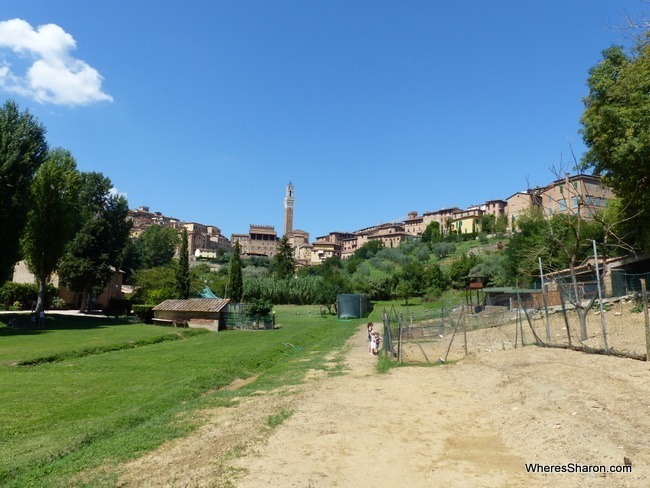 If you like visiting different attractions in Tuscany and especially if you are in Tuscany with kids, we recommend visiting the Orto de’ Pecci which is a farm with a cafe just to the south east of Piazza del Campo. This green space is lovely and there are some animals, kids’ activities and a medieval garden. There are also nice views of Siena in the background. We didn’t eat here but we wished we had. It looked good and would have been a great way to eat in relative peace while the kids ran around. 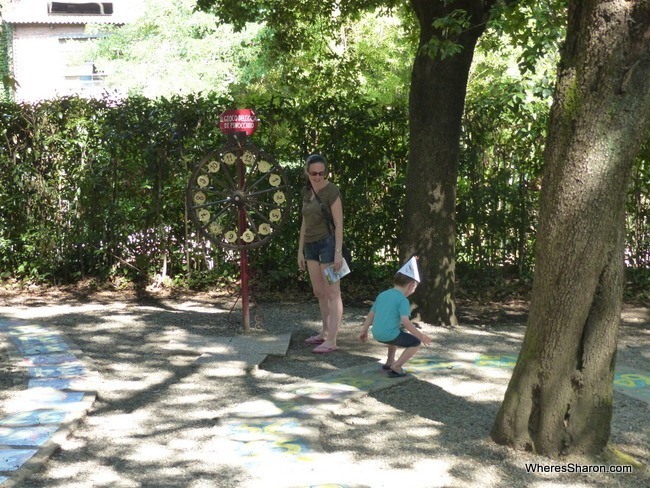 For families, there is also a playground in Piazza San Francesco which our kids enjoyed. On the upside, we did eat lunch at Ristorante 4 Cantoni Pizzeria on the corner of Via di Stalloreggi and Via dei Conti. Best meal I had in Italy! 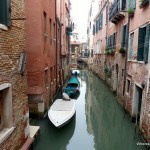 We parked in the Parcheggio San Francesco which was very convenient. San Gimignano simply blew me away. I hadn’t even heard of this small Tuscan town until I accidentally came across it while looking for something else just before we arrived in Tuscany. The article described its beautiful location on a hill and its medieval skyscrapers – I had to go! Unfortunately, all the time we could spare was a stop on the way back from Siena. I wish we could have had longer but the town is only small so an hour or two is enough time to get a nice feel for it. It is also long enough to wish we could stay much longer and J and I talked about just staying in a hotel there that night. On approach the town is quite a sight – up in the hills with the tall towers. Up close it is even more beautiful. Everything is well maintained and just looked, well, perfect. 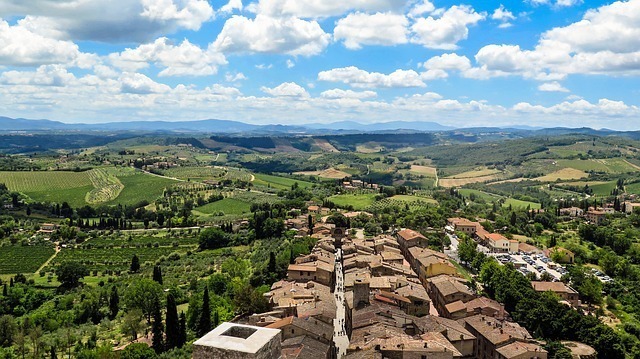 If you are looking for the best place to visit in Tuscany which is small with stunning views all over the countryside, this is a great choice. It is also a beautiful drive to San Gimignano with some very beautiful surrounding scenery. J wrote this section as he went to Florence alone. 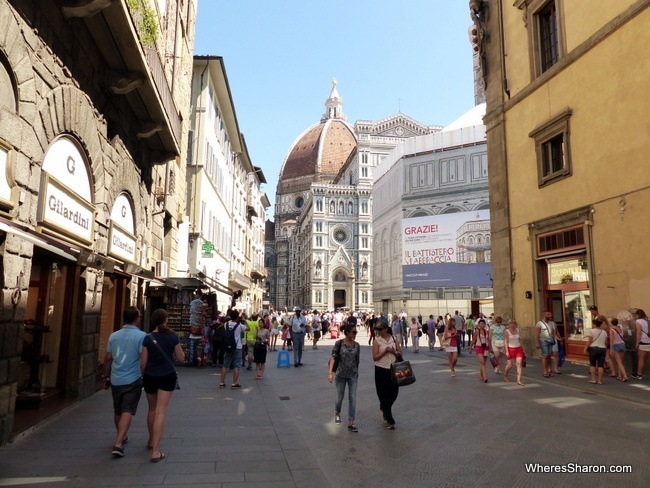 Florence is arguably the jewel of Tuscany. Thanks to the patronage of the famous Medicis, Florence became the centre of Tuscan (and Italian) art, literature, architecture and culture in general. 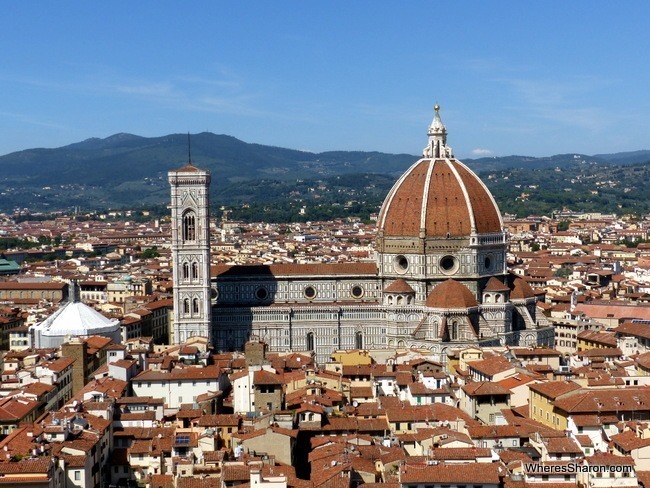 Unsurprisingly, Florence has the busiest Tuscany tourist attractions as well. Especially in August. The city is full of Tuscany things to do particularly museums, some of them genuinely world class. The two most famous ones are the Uffizi Gallery, which hosts perhaps the best collection of Italian and Renaissance paintings in the world, and the Galleria dell’Accademia, which hosts Michelangelo’s David. The wait for both these museums can be very long – people are admitted in batches at periodic intervals so even seemingly short lines move very slow. You can book tickets in advance – which are assigned a time-slot for entry – and collect them from the venue (and then join the separate entry queue for reserved tickets), which costs an extra four euros (standard entry is 12.50). You can also take advantage of people who on-sell reserved tickets at a small markup (22 euros on my visit). This can save a lot of time if you can’t reserve in advance, maybe an hour or more. The benefit of their batched admission is that things don’t get too crowded. I really enjoyed the Galleria dell’Accademia. Seeing David up close was amazing – its an incredible piece of work. However the rest of the gallery is quite small and depending on how fast you went an hour could be enough. The Uffizi is much bigger with a good collection but I didn’t enjoy it as much. I’m still glad I went but the early renaissance artwork isn’t my favorite genre/period. Neither are particularly kid friendly either, although you can take kids, which are free to both galleries, if you want – the spacing out helps and the Galleria dell’Accademia is not too large. 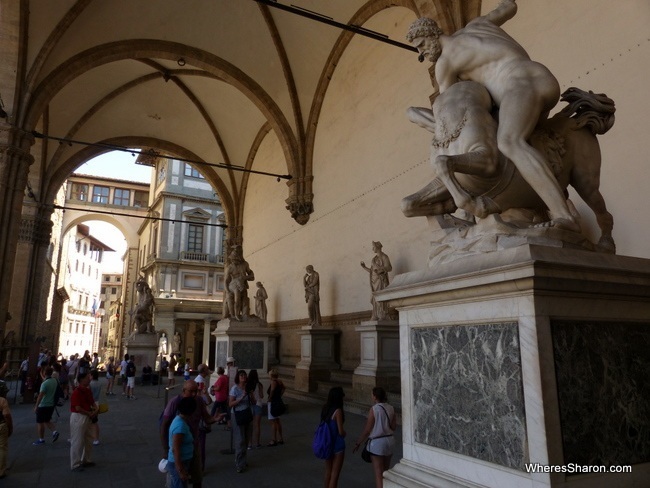 Of better appeal to all ages is the Galileo Museum, next door to the Uffizi. It cover the history of scientific and astronomic instruments for which Galileo is well known but is also a interactive science museum as well, the type our kids love. There’s things to touch and do, not just see. This would be my pick for families with young kids. Another museum I liked was the Museum of the Palazzo Vecchio – former and current centre of Florentine administration and former residence of the Medicis during their reign as Dukes of Tuscany. You can tour the lavishly decorated apartments of the Medicis or climb the palazzo tower for impressive views over the city. Or do both (you can buy a combined ticket). Really young kids cannot climb the tower (the age limit was unclear) but older kids might enjoy seeing the prison cells within it, or the views from the top. The Florence Cathederal, with its striking white and green facade, is an awesome site. Its dome took 150 years to finish. You can go inside and also climb to the top of the dome but the queues for entry to both sections were really long whenever I checked, so I had to give it a miss. The outside alone is worth checking out. Overall Florence was hot (it is Italy in August) and crowded (lots of people) so I would think twice about it as a place to visit with young kids – Galileo Museum aside. 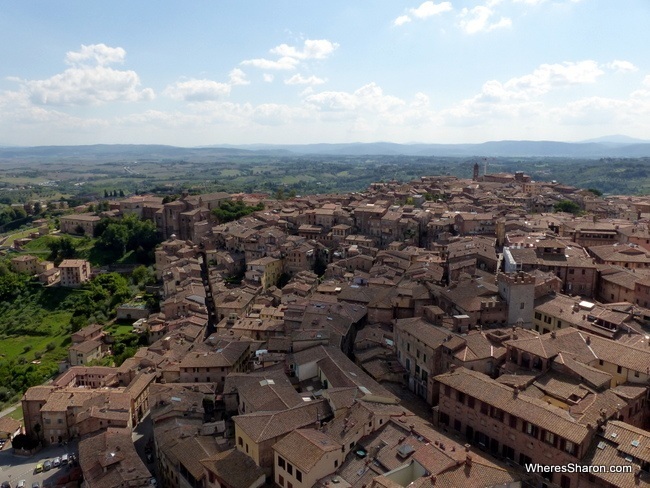 That said nothing is too expensive, even most restaurants were about the same price as Siena for example, and there’s few cars in the historic centre – foot traffic dominates almost all roads – so its a good city to walk around on foot and not too bad for strollers either. I’m glad I went but personally it was probably better alone. Tuscany is not just home to places like Florence, Pisa and Siena but the famous Pinocchio! 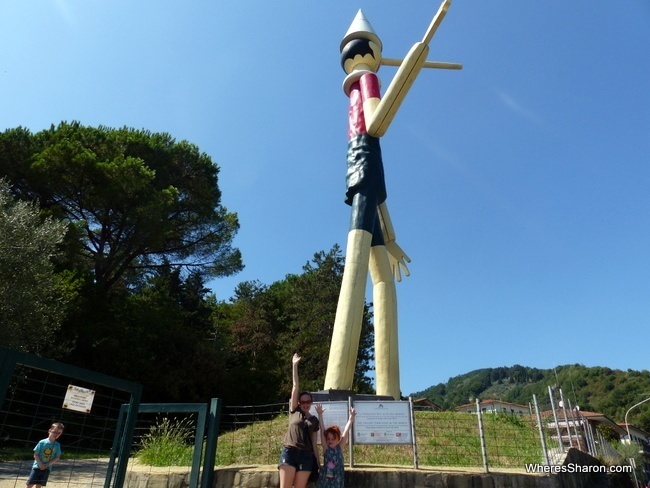 At Pinocchio Park, you can learn more about Pinocchio and do Pinocchio themed activities and basically you will find the most fun things to do in Tuscany – if you are a kid. Pinocchio Park is located in the town, Collodi, where the author of Pinocchio grew up. This town is incredibly scenic, snaking up a mountain. The park itself is lots of fun. There are playgrounds, a maze, a garden walkway which takes you through parts of Pinocchio – such as ending up in a whale, old fashioned rides, like a carousel, a puppet show, art activities and an awesome obstacle course. Its a smallish site but it packs in a lot. Miss 5 loved the flying fox after an obstacle course that had her walking on planks 5 meters above the ground! The kids particularly enjoyed making art and crafts, the rides, the puppet show and S LOVED the obstacle course (which was the most full on I have seen for little kids and stressed me out a bit watching!). The puppet show was in Italian but this was not an issue at all. I read mixed reviews beforehand so I was unsure what we would think. Most complaints centered around the entry being a rip off and things being run down. However, I did not find the park that run down – and what was added to the charm. The entry can seem overpriced. However, our kids absolutely loved it and our 5 year could have spent all day. I think if you are travelling with kids under about 8 then you will have a great time and find it worthwhile. It is not somewhere I would recommend without kids. Find more information here. It is easy to drive here and there is plenty of parking. It is not far from Lucca. It was 12 Euros for an adult and 9 Euros for a kid 3-12 when we visited although they waived the entry fee for Mr 3. 4 rides are also included. We had a great time in Tuscany with children. Although it is not somewhere that is packed full of kid focused attractions, there are still plenty of things to interest children and our kids enjoyed exploring along with us – and when they were upset there is always gelato! It is easy to have kids in Tuscany. Kids are welcome everywhere, there is plenty of space to run around and we had no problems coming across playgrounds. The food is very kid friendly with pasta and pizza everywhere like you would expect. 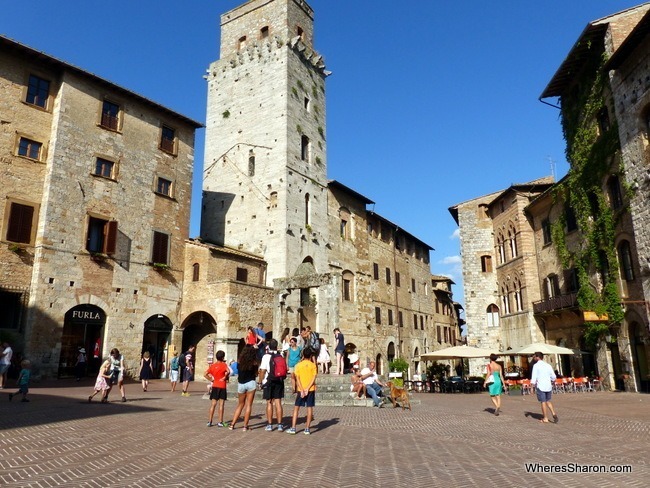 If you are wondering where to go in Tuscany with kids then I would personally just go everywhere you would without kids – just expect to take it slower and to spend time just playing in a park, chasing birds or watching puppet shows. You might be surprised how much they enjoy the general attractions if you make it fun. 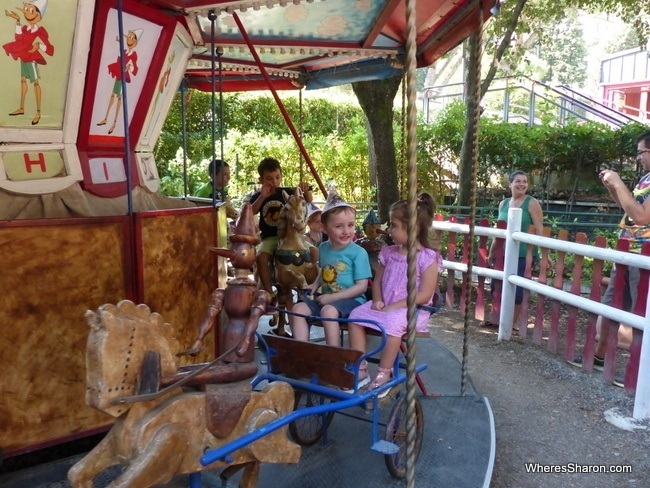 If you are looking for attractions in Tuscany for kids then it’s hard to beat Pinocchio Park. We all had a fabulous time there. 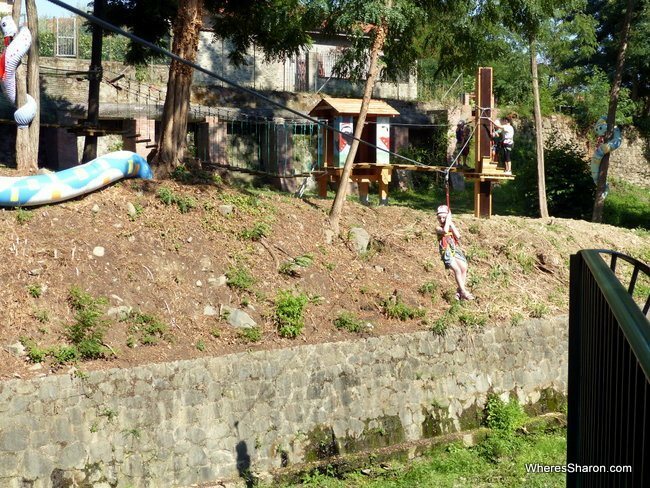 As for other things to do with kids in Tuscany, we also came across Acqua Village water parks. You can see more details here. We kept things simple in Tuscany and stayed in the one apartment and day tripped everywhere. It worked out very well for us! If you don’t want to drive though, you may want to stay in a couple of different towns, although there is a good system of trains and buses. 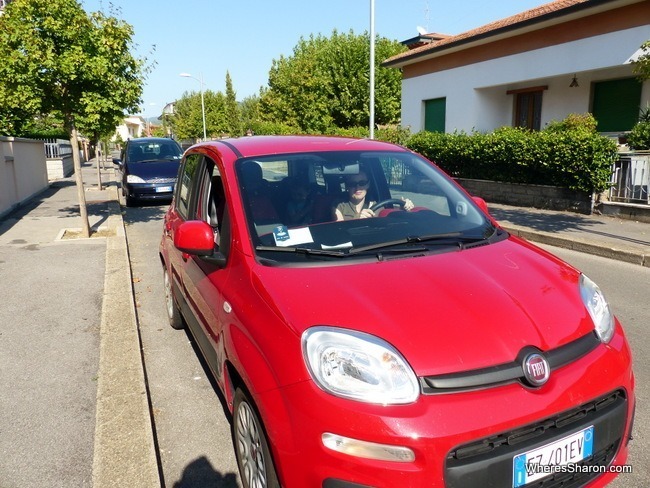 The car also made it easy for us to save money and stay in a real Tuscan town that wasn’t full with tourists since we could be more flexible on our location. We stayed in Montecatini Terme and while it wouldn’t be on my list of Tuscany things to see, it is in a very convenient location, its very easy to park a car and we enjoyed hanging out here when we weren’t sightseeing. It is in a good central spot to the towns above. Here are some recommended places to stay. I recommend using HotelsCombined as an easy way to find accommodation and to get the best deal across the hotel booking sites – it will list the main hotel booking sites as well as how much a room at the hotel costs at each of them. Hotel Rivoli, Florence – This hotel is a good price for a hotel in such a convenient location (Florence is expensive!) and there are triple and quad rooms for people travelling with kids. The hotel also has a nice courtyard area with a small pool. Click here for the latest prices. Garden Hotel, Siena – This hotel has a wide range of rooms including economy triple and double options. It was the best value hotel I could find in Siena. There are also 4 bed options, a kids pool and picnic area. Click here for the latest prices. Pensione Rinascente, Pisa – This is an excellent choice for people travelling on a budget that still want something nice in a top location. 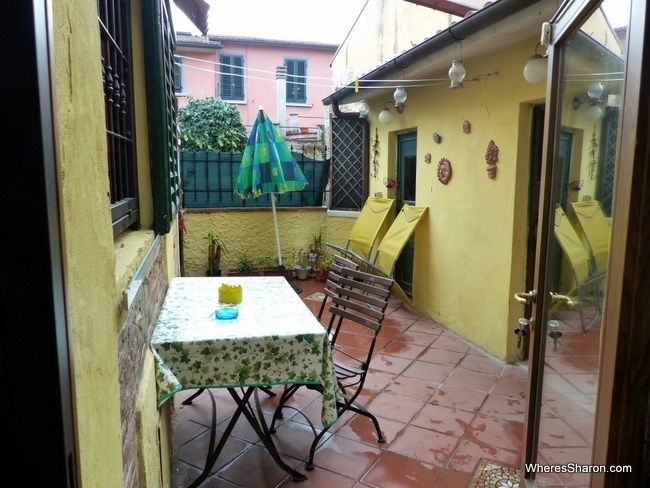 This guesthouse is an easy walk to Pisa’s highlights and in a very central spot. There are also triple and quad rooms. Click here for the latest prices. Hotel Ercolini & Savi, Montecatini Terme – An easy walk from the main piazza in Montecatini Terme as well as the train station, getting around to the rest of Tuscany from here is easy. This is a great value, 4 star property with a variety of room types and prices – which start at less than US$80 with breakfast. Click here for the latest prices. In addition to using a hotel booking site, we recommend Airbnb. This is a site to book private apartments and rooms directly with the hosts. It can save money, but the drawback is that there can be less flexibility than with more traditional options. For example, you need to set your check in time in advance. If you are not already a member of Airbnb, sign up here and we can both get $20 off our next stay 🙂 You can then check out the apartment where we stayed here. It was great – plenty of space, two bedrooms, courtyard, fully equipped and lovely hosts who supplied plenty of extras such as breakfast items. It was also an easy walk into the centre of town and there was a supermarket a minute away. It’s possible to reach Tuscany by all the usual ways – planes, trains, buses and cars. Tuscany is well hooked up to the rest of Italy and Europe. The other possiblity is to take a ferry. From Tuscany, you can catch ferries to Sardinia and Corsica or can explore the Tuscan Archipelago. You can find more ferry information at: Ok-Ferry.com. We hired a car for our time in Italy and we are glad we did! We picked it up in La Spezia after visiting Cinque Terre then used it to visit all the places listed here then travelled onto Bologna and Venice. A car just makes things so easy, especially with kids. We spent 5 days in Tuscany and as you can see, we were able to see a lot! We could not have done this without a car. It also actually worked out cheaper than catching trains around. We used Carrentals.co.uk to find the cheapest deal. To say I was worried about driving in Italy is an understatement. I have barely ever driven on the right hand side of the road (J did all the driving in the US), I rarely drive a manual and I kept hearing that Italian drivers were maniacs. I was also worried about the narrow streets, my inability to reverse park and that I would accidentally drive into a ZLT (centre of many cities/towns where you can’t drive without permission). Thankfully, it is all turned out ok! The first couple of days were hard and stressful. I was surprised by not just narrow roads but how narrow lanes can be even on express ways. I was also surprised by how little I have heard horns honking and how tolerant I have found Italian drivers – no problems on that count. How I looked basically the first two days I was driving in Italy! On the upside, after the first two days it was fine and I miss having a car now! We plan to rent one again next week in Croatia. Road signs are very confusing. There can be signs to the same places at the same intersections pointing in multiple directions. It is best to have a GPS or fantastic map and just rely on that. Tollways are ultra easy. You get a card on entry and you pay on exit. Just make sure you don’t go through a fastpass lane as you need a special pass for those. Speed limits are surprisingly low. Apart from on the big expressways, they were usually only 30 or 50 km/h! It’s very easy to accidentally speed. Given the low speed, I personally find it too painful to take the more scenic routes often. It’s worth working out if going off the autostrade will even give you better scenery on the routes you are planning to go. I did not always find it to be the case and ended up being annoyed by that cliched advice I had read online about taking alternatives to the autostrade. Read up on some road signs beforehand although you will probably still find it confusing. 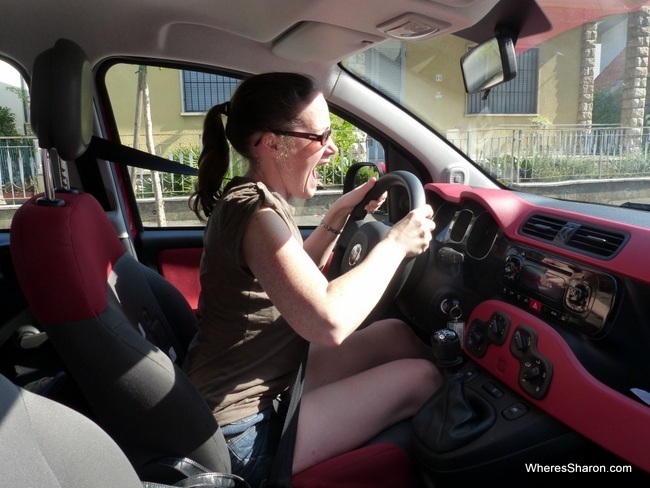 I found this page (and site) great for reading about driving in Italy. Don’t stress! It will be ok. I ended up loving driving in Italy. You will too! We had a fabulous time in Tuscany. It really does live up to the hype and we had a great time exploring the fabulous attractions. Siena was our favourite place, followed by San Gimignano. We are also glad we hired a car – it enabled us to see so much more than we are normally able to. Tuscany is quite compact so it is easy to see a lot with your own wheels. My biggest tip for Tuscany is to give yourself plenty of time. 5 days was a great length of time to give ourselves an introduction but it would have been nice to have a few extra days to see a place more in depth. Oh well, just means we have to go back! 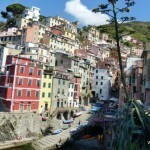 You can also read about our fantastic stay in Cinque Terre and in Bologna. Both places are very close to Tuscany and could possible be visited as day trips if you don’t have time for an extended stay. Our full Italian itinerary and information is here. Is Tuscany on your bucket list? Where would you like to go most? Or have you been? What’s your favourite part? 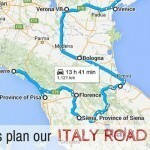 Help us Plan our Italy Road Trip! What to Do in Cinque Terre, #1 Bucket List Destination! I love this post! Would love to share it on WanderSnappers.com!